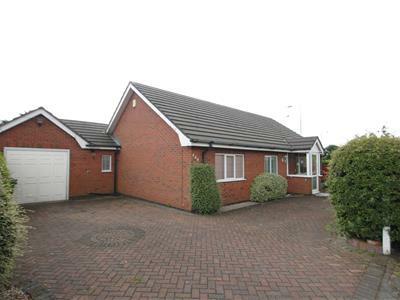 DETACHED TRUE BUNGALOW - CORNER PLOT LOCATION - NO ONWARDS CHAIN - TWO RECEPTION ROOMS - ATTACHED GARAGE, the property is a spacious detached two bedroom bungalow which benefits from gas central heating and double glazing and comprises of an entrance porch, hallway, lounge, conservatory, kitchen / diner, utility and wc. 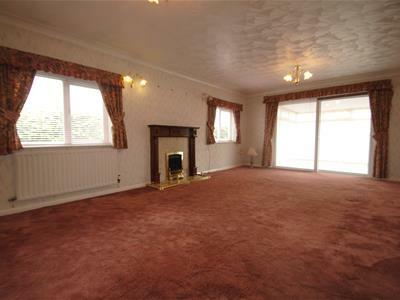 Two double bedrooms and a family bathroom. Externally there is a block paved driveway, attached garage with electric door and gardens to the front, side and rear. Occupying a popular and convenient residential location this delightful detached bungalow benefits from spacious accommodation including an entrance porch, welcoming hallway, lovely lounge with French doors and patio doors leading into the conservatory which has access to the garden to the rear, kitchen which is fitted with a range of matching eye and base level units and a dining area, utility room, cloakroom with two piece suite for convenience purposes, two good sized bedrooms and a bathroom which is fitted with a four piece suite. 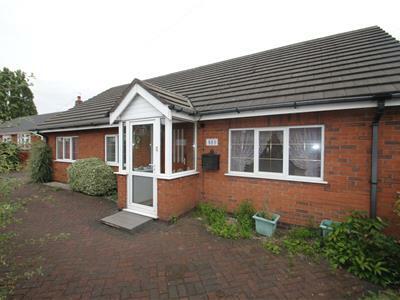 The accommodation is warmed by central heating which is complimented by double glazing. 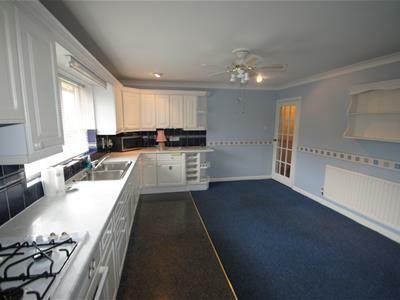 An internal inspection is highly recommended at the earliest opportunity. From our Stockton Heath office proceed along the A49 London Road in a northerly direction and at the traffic lights turn right into Grappenhall Rd. Continue along and at the next set of traffic lights turn left into Knutsford Road. Continue across the bridge into Latchford village and keep in the right hand lane following the road around at when you meet Lidol at the next set of traffic lights turn left into Kingsway. At the roundabout continue straight across and at the junction ahead turn right into Manchester Road. Continue along crossing over the next two roundabouts. 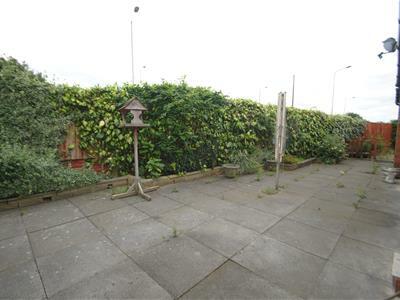 The property can be found a short distance along clearly marked by our 'For Sale' board. Part brick, double glazed window to the side, full glazed door, tiled flooring. 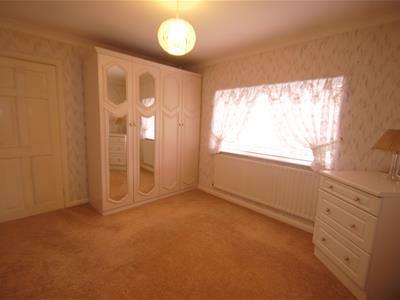 Ceiling coving, alarm unit, glazed door with roller blind, central heating radiator and access to the loft. Double glazed French door from the hallway with feature fireplace and living flame coal effect fire with marble brick hearth and wooden surround, patio doors into the conservatory, two oduble glazed windows to the rear elevation, two central heating radiators, ceiling coving, two wall light points, two ceiling lights and a television point. Floor to roof glazed windows, vinyl flooring, side door onto the garden and fitted blinds. A range of matching eye and base level units with concealed lighting, four ring gas hob with oven, pull out extractor, double stainless steel sink with drainer unit and mixer tap set in heat resistant roll edge work surfaces and complimentary tiling, integrated fridge and freezer, central heating radiator and a double glazed window to the rear elevation. Wall mounted Ideal boiler, double wall units, plumbing for a washing machine, low level freezer, roll top work surface over, double glazed window to the front elevation, part glazed up and over door, courtesy door to the garage and access to the loft. Two piece suite with low level Wc, wall mounted wash hand basin with tiled splash back and a central heating radiator. 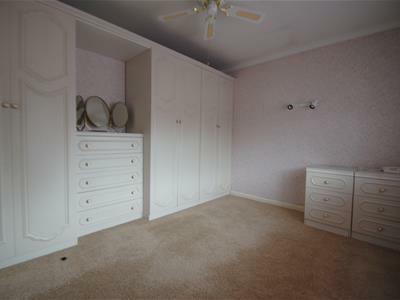 A range of built in wardrobes with hanging and shelving space, built in drawers, five draw cabinet, fan with light, two wall mounted spotlights, central heating radiator, double glazed window to the front elevation and fitted blinds. Double glazed window to the front elevation, central heating radiator, ceiling coving and fitted blinds. 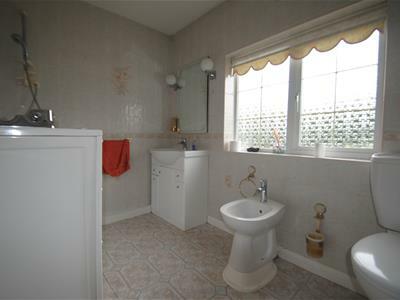 Four piece suite with a walk in bath, Vanity wash hand basin with mixer tap, Bidet, low level Wc, fully tiled walls and flooring, double glazed window to the front elevation, wall mounted mirror and a central heating radiator. 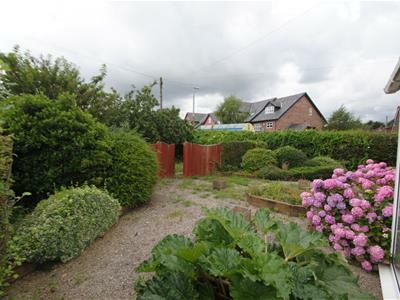 Situated on a corner plot with a rear paved patio off the kitchen and utility room with useful outside water tap and raised fencing with a mixture of mature borders, timber storage shed and access to the rear of the garden with useful power point. 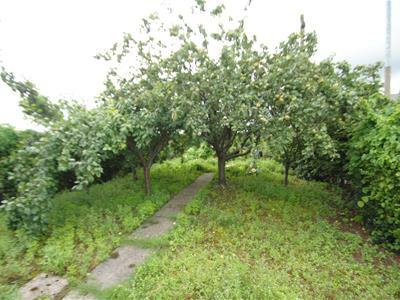 To the side elevation there is a gravelled area with raised borders and established shrubs and trees and a timber gate to a further garden area which currently has apple and plum trees. To the front the property is approached by a block paved driveway offering off the road parking and leading to the double garage with tall hedgerow to the front and outside light and gated access. Electric up and over door and power and lighting. No tests have been made of main services, heating system or associated appliances, neither has confirmation been obtained from the statutory bodies of the presence of these services. We cannot therefore confirm they are in working order and any prospective purchaser is advised to obtain verification from their solicitor or surveyor.